Action from the Businesshouse competition at the Suva Bowling Club. Today’s Suva Bowling Club National Open Pairs tournament is a chance for national reps to prove themselves if they want to play at the World Bowls Championship in Christchurch, New Zealand in November. 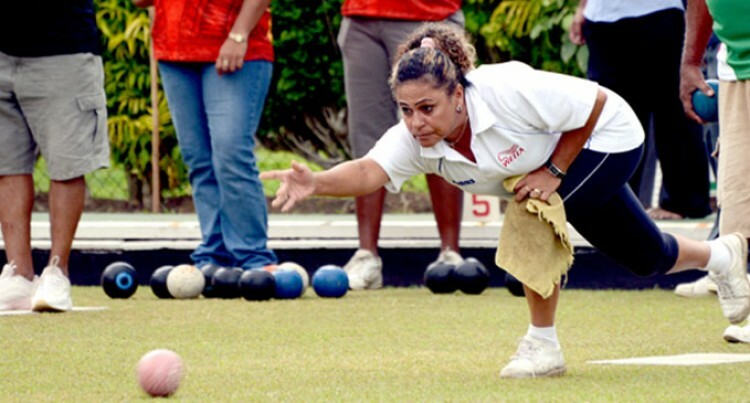 Big names like Arun Kumar, Kushal Pillay, Samuela Tui and Semesa Naiseruvati for the men’s and Elizabeth Moceiwai, Cheryl Mar, Litia Tikoisuva, Loretta Kotoisuva, Losalini Tukai and Sai Walker for the women’s will all be at the Suva Bowling Club, eyeing for a spot in the five-member squad. Suva Bowling Club secretary manager Diwan Chand said this year’s competition would be a tough one with a total of eight ladies and 16 men’s teams taking part. “The high interest is because this is the selection phase for the World Bowls in November,” Chand said. “So they will be out there to prove themselves as well as compete with other bowlers who are eyeing to win the tournament. “We are anticipating a good tournament and a very tough one and we are also hoping that we get good weather tomorrow. There are four men’s teams and one women’s team from Nadi and one men’s team from Lautoka while remaining participants are from Suva.